Well, for those who’ve been to Bali, I’m sure your travel agents or tour won’t include this in your schedule, even in my own travel plan too, I didn’t aspect that I’m able to watch this such an interesting event which just happened in front of my eyes. It was on my 3rd day in Bali, during our way to Tanah Lot to watch the sunset, while approaching to a junction to Tanah Lot, I saw a crowd of gentlemen shouting and cheering each other, the driver told me that they are having Tajen. 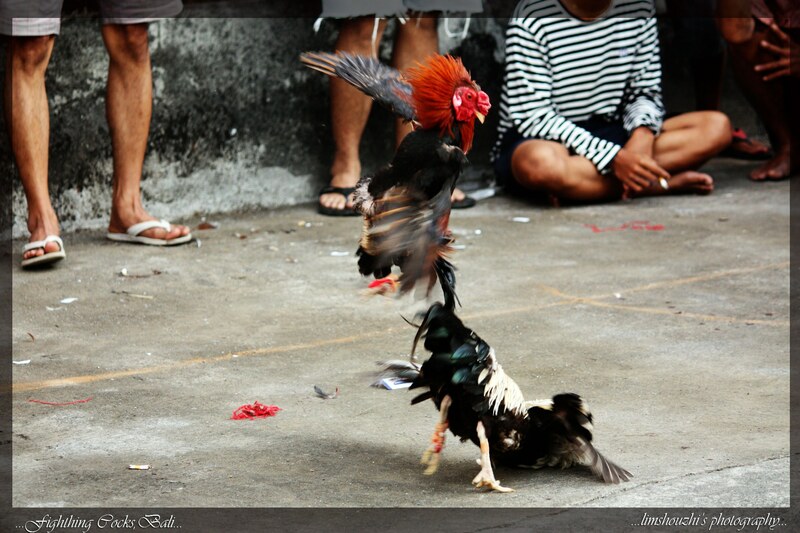 For your information, Tajen, is Balinese Traditional Cockfighting which is still legal to practice among them. These are practiced in an ancient religious purification ritual to expel evil spirits. 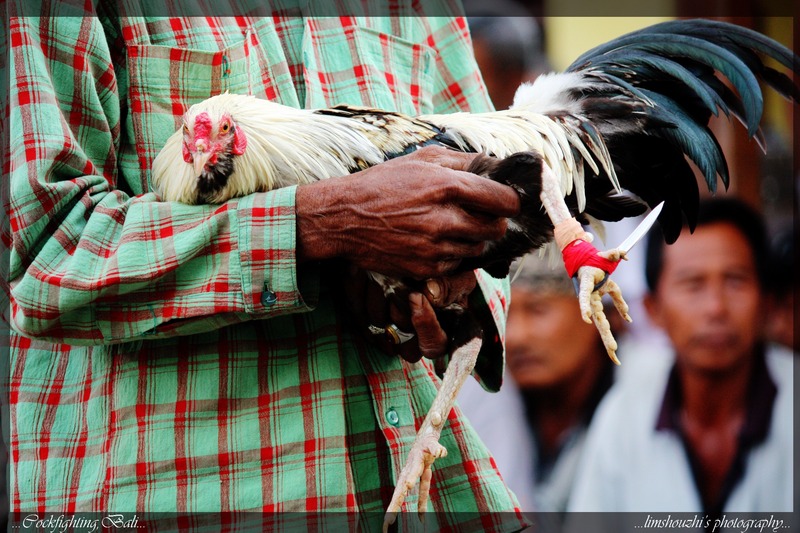 This is a form of animal sacrifices where the losing chicken then offered to the evil spirit. 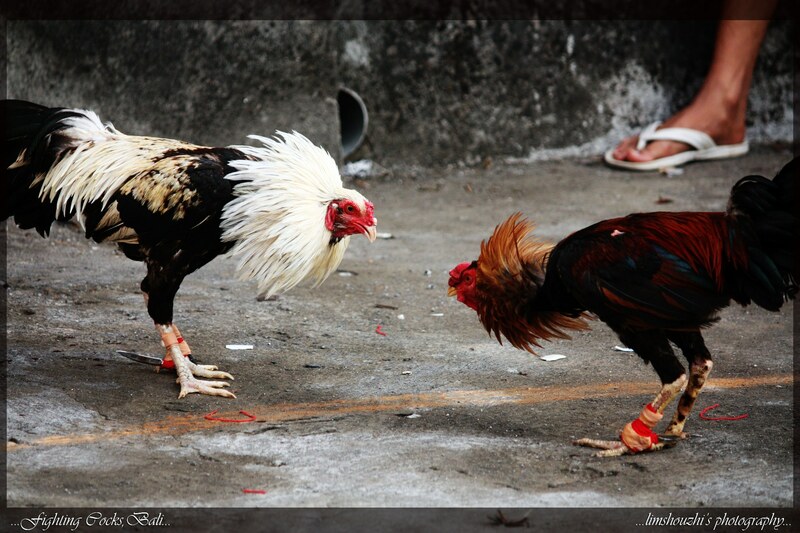 We used to have cockfighting in Malaysia, but it is illegal and no longer practice in local community. Gallery | This entry was posted in Photography, Travel and tagged Balinese Cockfighting, Tajen. Bookmark the permalink.